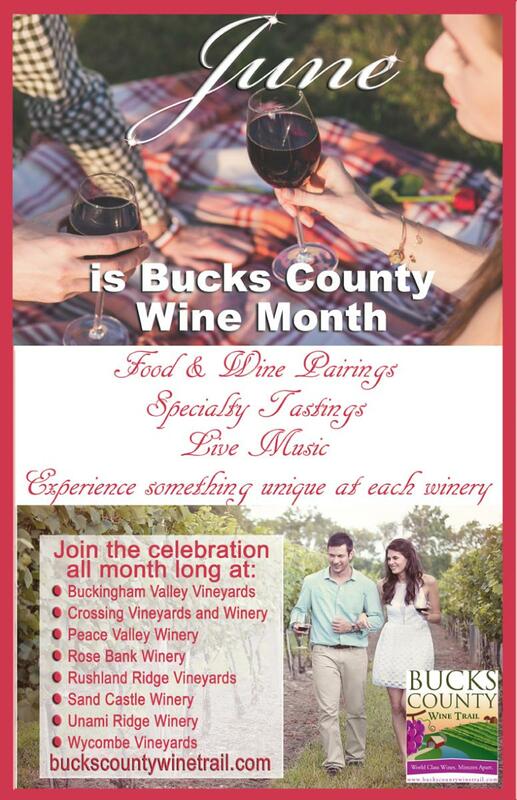 Celebrate Bucks County Wine Month in June! Sometimes events are simply too big for a day - or even a weekend. That’s why the Bucks County Wine Trail is keeping the excitement going throughout the month of June during Bucks County Wine Month. Join the eight family-owned wineries in celebrating all things wine this June. Each winery will offer its own unique twist for Bucks County Wine Month, including live music, food truck fare, samples of locally made ales, new wine releases, wine slushies, mimosas and more! There has never been a better time to experience the award-winning wines of Bucks County than Bucks County Wine Month. June is already brimming with dozens of reasons to raise a glass of wine - from Father’s Day to the kickoff of summer (and vacation season) and lazy days ripe for picnicking and sipping wine. Add in several special wine-related days, like National Rose’ Day, National Cheese Day and for those with a sweet tooth, National Fudge Day (think gooey fudge paired with decadent dessert wines) and you have the makings of a month-long celebration – and some pretty amazing wine and food pairings too. Bucks County Wine Month offers tastes for every palate. Whether you enjoy reds, whites, dry, sweet, fruit or dessert wines, the Bucks County Wine Trail offers a wide range of locally made wines. With warmer weather and beautiful flowers in full bloom, Bucks County and its rolling hills beckon. 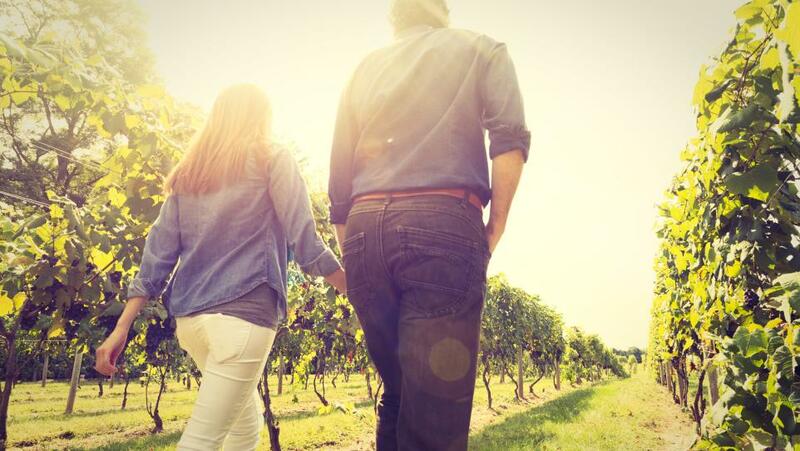 Consider scheduling a tour of several wineries, or review our map to see which wineries might fit best into your travel plans. Not sure when to visit? Check our Website to see which Bucks County Wine Month events interest you the most. Except where noted, tickets are not needed for these fun-filled events. For addresses, operating hours and more information on the individual wineries, visit the websites: Buckingham Valley Vineyards, Crossing Vineyards, Peace Valley Winery, Rose Bank Winery, Rushland Ridge Vineyard, Sand Castle Winery, Unami Ridge Winery and Wycombe Vineyards.